At Go Rubbish Go. we make it a priority to fulfill your every wish. 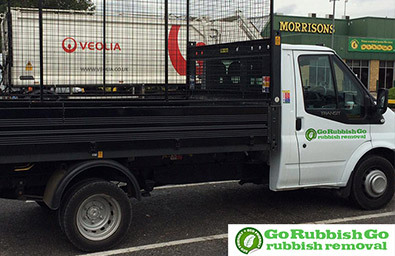 For London rubbish collection services, we are your company. There is no point in trying to cope with having all this rubbish round your neck. Indeed, you can keep leaving it day after day. But eventually, as you keep leaving it, you will find yourself with little space left. You can clear so much space and gain space by getting rid of your rubbish. We suggest you allow us to clear it all away for you and we promise you won’t regret hiring our rubbish collection company. We are one of the best companies around for first class London rubbish collection services. So if you have piles of rubbish hanging about, make it a priority to get it sorted. The best thing you can do is hire us today by calling our office at 020 8610 9182. When you hire our experts in London, you won’t believe what you can get for your money. We make it a priority to ensure each and every client that hires us is happy with our services. With our rubbish collection in London, you won’t have to look at another piece of rubbish again. So get in touch now and you’ll get a free additional quote! 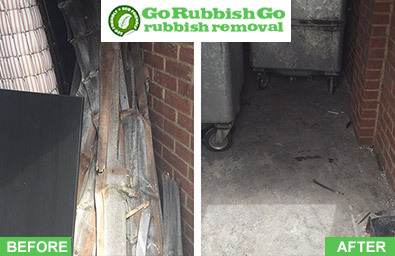 We Can Make Your Rubbish Disappear with Our Rubbish Collection Service in London! Book with us now for a first class rubbish collection London service and trust us, you won’t regret it! All you need to do is get in touch with us now on 020 8610 9182 and our experts in London can meet your every need. We understand that you do not always have the free time to do it yourself. With work, keeping a family, domestic chores and so forth, there leaves little time for clearing up rubbish. That is what we are here for – to help you! We want you to understand that you can rely on us for rubbish collection in London. Rubbish Collection Is Easy with Our Professionals in London! There is no doubt about it, you won’t want to clear away waste once you see what we can do. You can hire our London rubbish collection company again and again if you like and you will be more than delighted with our prices. We make sure we keep our prices low because we understand that not everybody is made of money. So get in touch whenever you can and allow us to help you out. Like it or not, that waste needs to be gotten rid of. Wouldn’t it be easier to have it done by a professional company that deals with rubbish collection in London. Dealing with Rubbish Collection in London Is at What We’re the Best! Our London rubbish collection service is the best you will find for sure! Go Rubbish Go. is a company built on client recommendations. We have a fantastic relationship with our customers in London because, to us, our customers are kings. We do our best to make you happy and if you are not happy with us, we are not happy with ourselves either. If you need rubbish collection in London, we definitely think you should at least consider hiring us. After all, we are one of the leading London rubbish collection companies and we promise you nothing less than the best. You don’t want to keep staring at piles of rubbish. Make space by hiring us to get rid of all your rubbish for you. With our London rubbish collection service, we can take it all away and leave you with not a trace of waste in sight. For a free quote, call our office today on 020 8610 9182 and we can answer any of your questions.